Flipping Book 3D for Photo is a 100% free digital photo flipbook publisher software program turn your digital photos into online flash photo albums with True 3D page tuner effect. It lets you create realistic, book-like albums with an intuitive interface that is natural, familiar and intuitive. Flipping Book 3D for Photo free can help you to make a real album like Flash photo album. The user can flip it and add the contents of their own cover and back cover. It is recommended for beginner. With Flipping Book 3D for Photo, you can take your digital photos, edit them with professional quality tools, add your own comments and messages, organize them into albums, and share your albums with people across town, across the country, and around the world. Real 3D flipbook Series builders Provides the Theme: Meditation is a real 3D theme that provides 4 templates integrate all the digital book settings and functions. To realize flipping most quickly, I'm afraid it can do you great favor. PCL to Flash Magazine is powerful and easy-to-use software for creating stunning page-flipping magazine form PCL format files. Image to Flash Magazine lets you easily convert any type of images to Flash Magazine in batches. 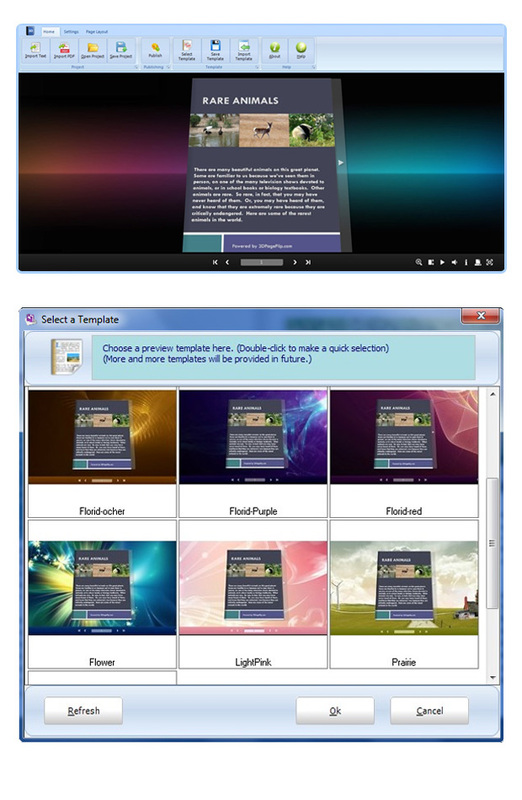 Image to Flash Magazine Mac is specially designed for Mac platform users . FlipBook Creator (Professional) Themes Pack- Fire a professional flipping theme provides 4 flash frameworks integrate powerful functions and eBook layout. To build a success company profile or idea, it is a significant tool can make flipping fast. Real 3D flipbook Series SOFTWARE Provide Theme PACK: Limpid is a fast way to rapid build 3D page flipping flash book for business or culture diffusion. As a foregoer in digital publishing industry, flashflipbook3d.com persist build the best 3D books. In Neat Colorful Theme Package, you will also see 6 different colorful background and tool bar designs. Cold, warm, passional, lively, different feeling backgrounds can be used in your different style digital magazines. This site does not contain serial number, crack, keygen Flipping Book 3D for Photo serial number : serial number is the simplest type of crack. A serial number(cdkey,product key,etc) is register the program as you may already know. a crack or keygen may contain harmful software. If you cannot find the exact version you want, just give it a try. for more information read .nfo/.txt/.diz file include in zipped file.